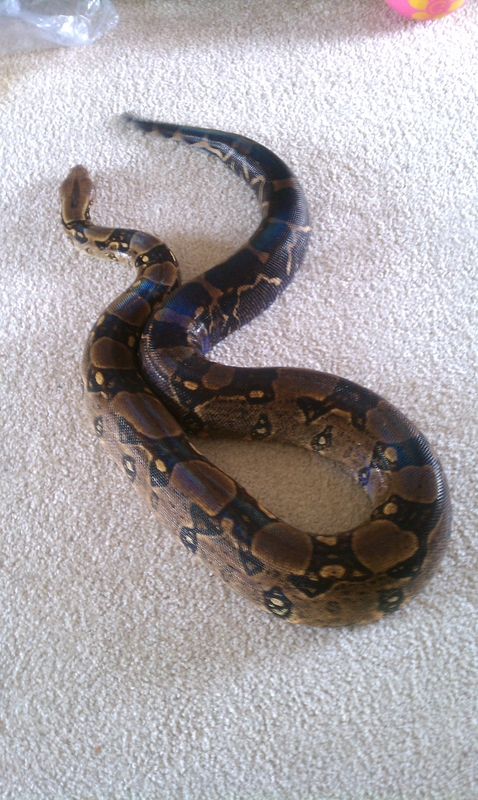 Beautiful Columbian Boa at 5yrs old. We took her home sometime ago in April 2011 and named her Audrieanna. She is our very first pet snake. 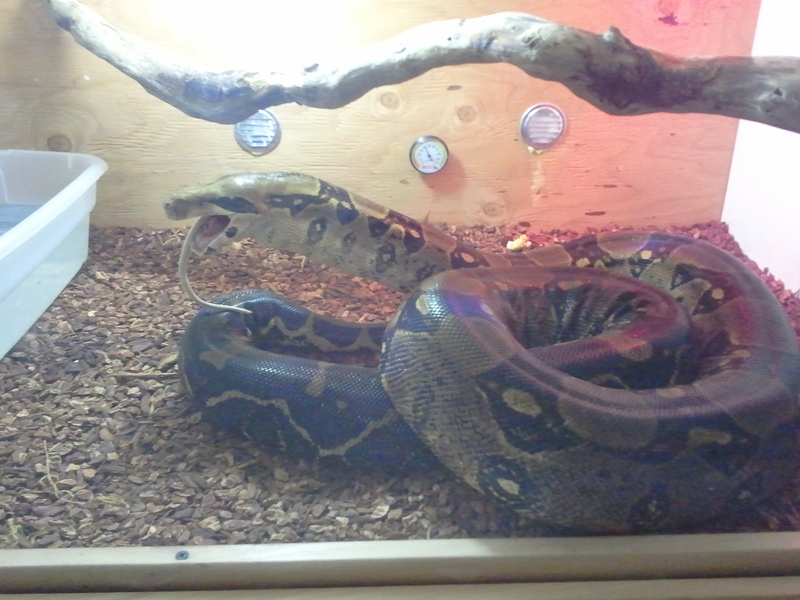 As for my husband, this is just one of his numerous exotic ladies. And so we are bonding. Audrieanna loves to cuddle. She also loves to curl beside you and she enjoys a short stroll. She stands around 8 ft and weighs around 40 lbs. I am very pleased with her personality. My children loves playing with her and curling up around her.